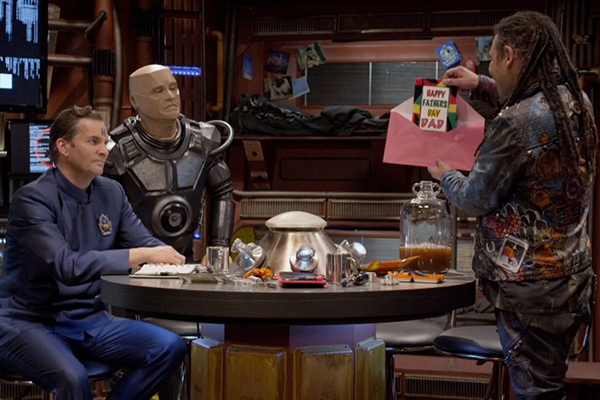 Red Dwarf's history with dads. If you're in the UK, then this weekend (Sunday 17th June) is Father's Day - a day for dads everywhere to break with usual Sunday tradition and put their feet up, enjoy a nice lunch and let the rest of the family do the cleaning up. So we thought it might be an apt time to take a look at the way Red Dwarf has dealt with fatherhood down the years - because, let's face it, it's not exactly been your standard sitcom fare. We first hear about Lister's family background in the second ever episode, Future Echoes. But while some lasting elements of the backstory are immediately established, others are left less clear. 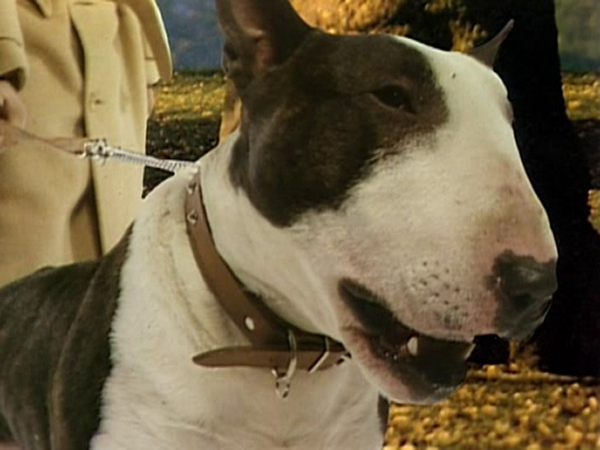 Lister explains that the photograph of his "dad" and dog Hannah are the only ones he has of him; but also makes reference to the fact that he was brought up by his grandmother. So there's a clear implication that Lister's father must have died relatively early in his life. This is then confirmed by Better Than Life, which sees Lister relate the story of his dad dying when he was six (the famous "reading the football results down the toilet" gag). But at this point, the omission of any extra detail implies that the father Lister is talking about is indeed his own biological father. It's not until Series III that we're filled in further. 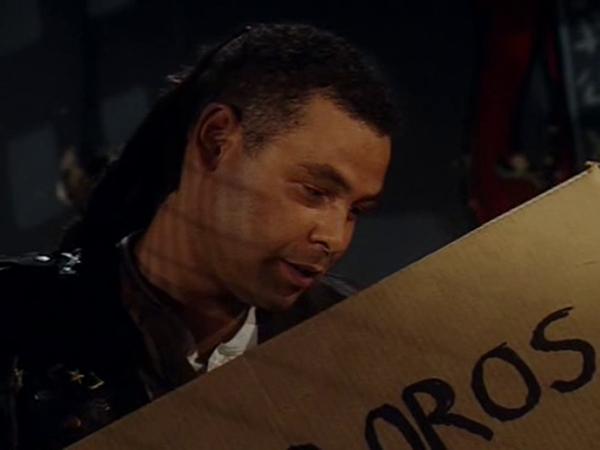 In Marooned, intriguingly, Lister now makes reference to a "step-dad" who taught him to play the Michael Jackson song "She's Out Of My Life". It could be the case that his mother re-married, of course, but this wouldn't seem to square with being raised by his grandmother (even allowing for the re-jigged continuity the show received in the wake of the first novel). Instead, it's then confirmed that the father previously referenced by Lister was his adoptive father - and perhaps referred to as his "step-dad" as a shorthand. In The Last Day, Lister recounts for the first time the story of being found under a pool table as a baby - although at this point, we (and he) have no idea where he actually came from. The truth, of course, will ultimately end up being stranger than anyone could have imagined. 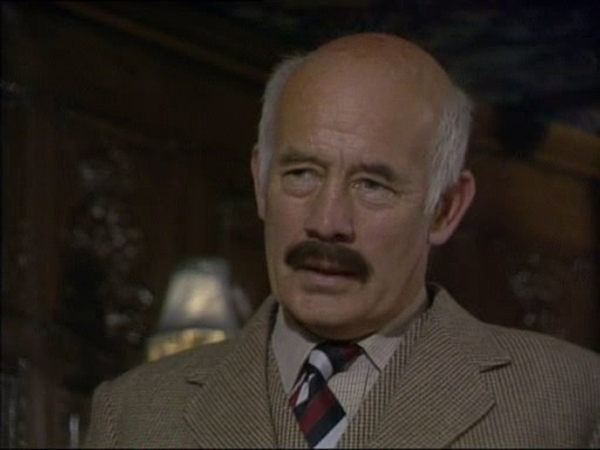 If things had gone differently, Series III could also have told the story of Lister being a father himself. As early as Future Echoes we'd learned that Lister was destined to have twin sons named Jim and Bexley - and in Parallel Universe, we find out how that would happen: by his giving birth to them. However, an originally-planned Series III opener titled "Dad" was ultimately abandoned at the script stage (extracts can be found on the Bodysnatcher Collection DVD), so the pre-series text crawl instead explains that the twins were raised in the other universe by their mother, Deb Lister. But in Series VII, we learn that Lister was actually destined to become a father again - and, indeed, already had done, all at once. Ouroboros finally gives us the head-scratching explanation of his origins - the fact that he was conceived via artificial insemination by none other than himself and the alternate universe's Kristine Kochanski, and travelled back in time to leave himself under the infamous pool table. It's also worth noting that in the continuity of the novels, the identity of Lister's adoptive father (and mother) is said to have been key to his turning out to be the kind of person he was. Last Human reveals that in a parallel universe, his doppelganger was raised by a different adoptive couple who treated him cruelly, leading to his becoming the murderous sociopath who becomes the novel's main antagonist. In contrast to Lister, Rimmer's paternal origins are relatively straightforward - but while Lister had a good relationship with his adoptive father until his passing away, Rimmer had anything but. We learn a little bit about his personality in Future Echoes, but (as with Lister) it's Better Than Life that really tells us about their relationship. We discover that Rimmer yearned for his father's approval, which was never forthcoming - and so ended up hating him as a result. Still, though, in the game that gives the episode its name, we see that Rimmer still holds on to the desire to make his father (played in this appearance by John Abineri) proud of him. It's also made clear that Rimmer's parents don't necessarily have the most fulfilling or loving marriage, as stories of his mother's infidelity become a recurring feature, particularly in Series III. It's again in the continuity of the novels - and Last Human in particular - that the possibility of Rimmer himself being a father is raised. It's discovered that his single, brief liaison with Yvonne McGruder actually produced a son, Michael, who grows up hearing stories of a brave and heroic father he never had the chance to meet. The shattering of this illusion, and the exploration of the uneasy relationship between father and son, becomes one of the book's most compelling aspects. When Series X rolled around in 2012, father-son relationships came to the fore like never before - as Lister and Rimmer's paternities were major plot elements of not one, but two episodes. Fathers and Suns - the clue is in the title really - sees the show finally get around to exploring the Ouroboros revelation in greater detail, as we learn that every Father's Day (and indeed other occasions) Lister would get blackout drunk and send himself cards. 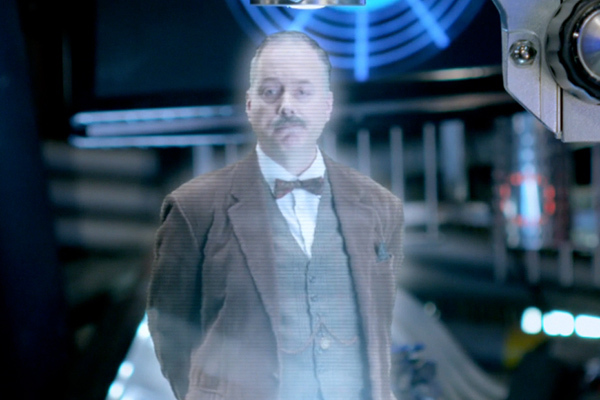 What's more, the episode features the "father" Lister recording video messages to his "son", leading to the hugely memorable and celebrated scene of a father-son argument performed by one character in two different places. 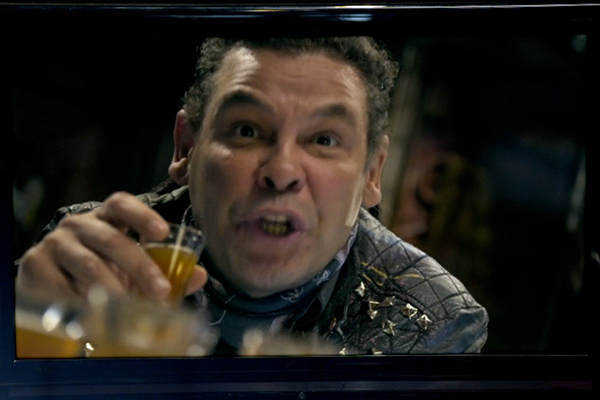 Ultimately, Lister's discovery of his true parentage means that he is finally able to have the relationship with his father he never thought he would do; even if it means having to do so via video recordings. And he is also able to bestow three million years' worth of accumulated wisdom upon his own son - even if that son already has it by virtue of being himself. In The Beginning, meanwhile, yet another secret is uncovered. The episode opens with a flashback to Rimmer's time at Io Polytechnic, where his father (now played by Simon Treves) is the lecturer who utterly humiliates him in class. It's then later in the episode that we discover the truth, by way of a Holo Lamp message bestowed by Rimmer the elder: Arnold's real father was, in fact, Dennis (aka "Dungo"), the Rimmers' gardener. While it initially crushes Rimmer, however, this revelation ultimately frees him from the huge weight of expectation that Rimmer Sr. had always placed upon him. Although Series XI and XII see him as largely still the same ball of neuroses he always was, at least he knows now that his achievements in life (and death) are no longer the disappointment he thought. When it comes to Cat and Kryten, it's unsurprising - given their natures - that parentage has never really come up. Waiting For God tell us that Cat was born to "the cripple and the idiot" among the surviving Cat people - and that his father "ate his own feet" - but that's as far as it goes. And Kryten, of course, as a mechanoid has no "father", save perhaps for John Warburton, the jilting fiancé of his creator (and "mother"?) Professor Mamet, upon whom Beyond a Joke tells us his personality was based.